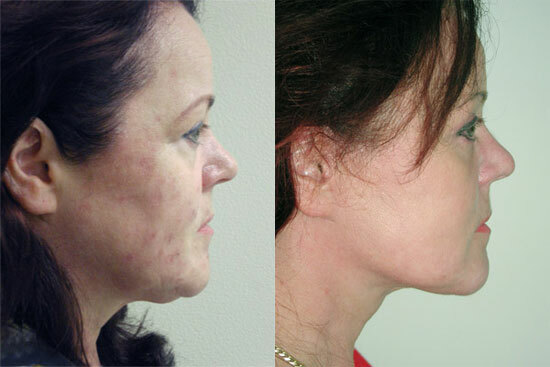 Dr. Newman has been performing Face Lift surgery for the past 15 years and has experience with over 1000 patients. 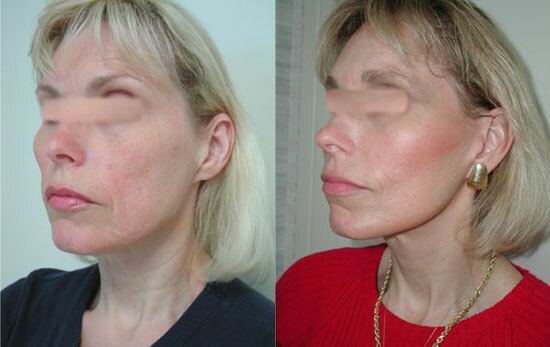 There are three main types of face lift surgery performed and the specific technique depend on the condition of the muscles, SMAS, and skin. Every facelift which Dr. Newman performs involves the strengthening of the SMAS system, otherwise knows as the superficial musculoaponeurotic system described by anatomist in the 1970’s. Since that time variations of facelifts have evolved to better address the vectors of laxity and the loss of fat volume in the face. Dr. Newman commonly performs fat grafting with facelift surgery to give a more complete 3 dimensional rejuvenation of youth. 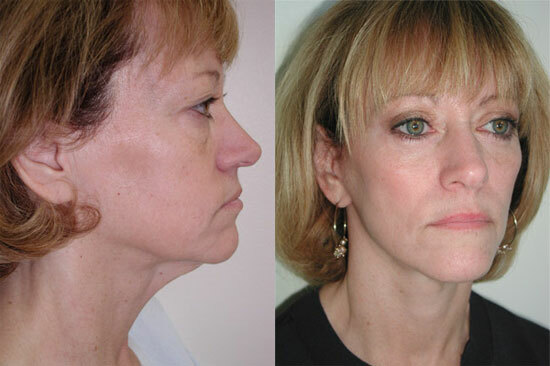 Below Dr. Newman describes the three main categories of face lifting. 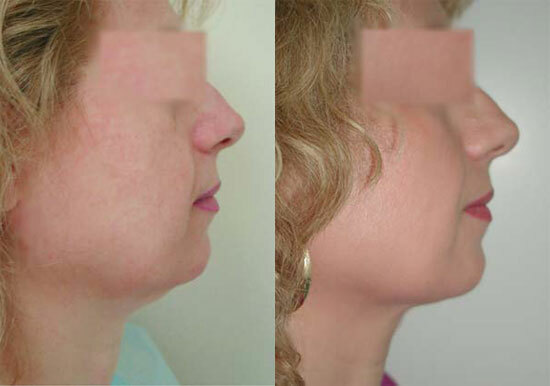 This procedure rejuvenates the jowls and jawline skin laxity with improvement in the side lines in front of the ear. Local anesthesia with an oral Valium or similar relaxant can be performed in some situations. Because the dissection is more limited, there is less bruising and drains are usually not needed. Younger patients aged 40-45 are ideal for this procedure. 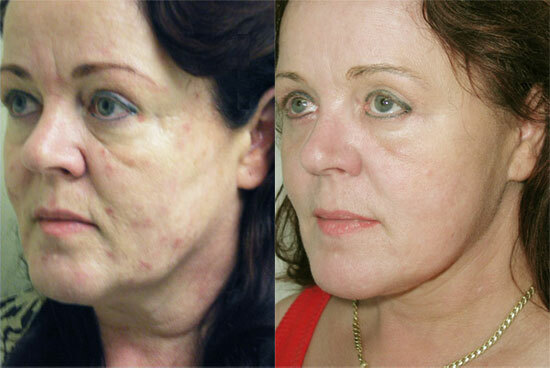 Patients like this procedure because of the limited downtime and the reduced cost of this procedure. Minilifts range from $7500-$9500. 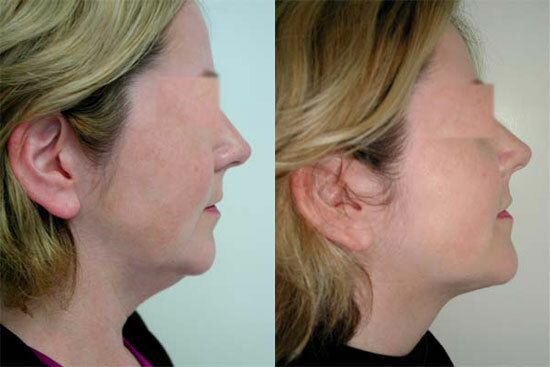 This procedure adds cheek lifting and submentoplasty to the minilift and has a more extensive dissection of the SMAS. The lax tissues under the chin and near the midline of the neck are reduced and tightened with a combination of surgery and liposculpting . 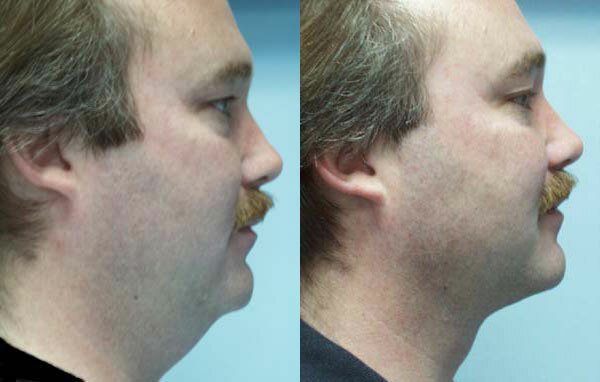 When a stronger chin profile is indicated, a customized chin implant is designed and placed by Dr. Newman. This procedure is performed under IV sedation and rarely requires general anesthesia. Patients usually have a small one inch incision under their chin in a natural skin crease which becomes almost invisible with time. All patients go home after this procedure and wear a special support garment for three to four days. Most patients take Tylenol or stronger oral pain pill for the first few days. 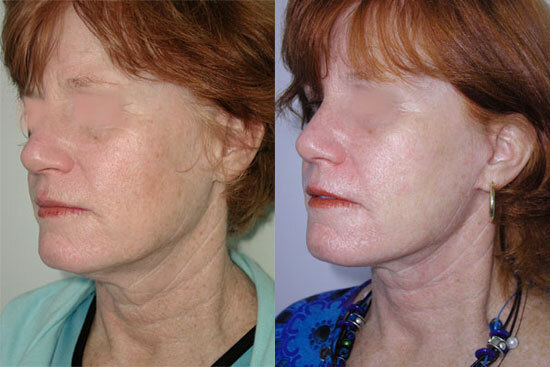 While this procedure is best performed prior to age 50 because of good skin elasticity, significant results can also be achieved in more mature patients. Moderate lifts range from $8500-$12,000. This procedure combines everything in the moderate lift with a more extensive dissection into the neck to draw up loose skin down to the chest and includes lifting around the temple and lateral brow to take care of excess hooding of the outer corner of the eyelid. Patients have a “High SMAS” dissection in the deeper plane of the face. 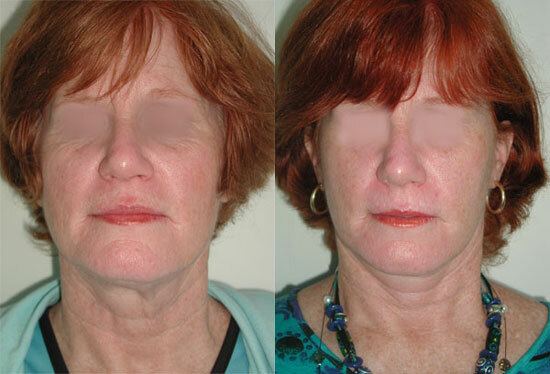 This allows for the longest term results compared to other facelift procedures. Patients have deep intravenous sedation or general anesthesia for this procedure and the recovery is more lengthy with two weeks required at a minimum. Fat grafting is often performed at the same time. Patients 55 years and up typically require the Significant Lift. Price Range from $15,000-$25,000. 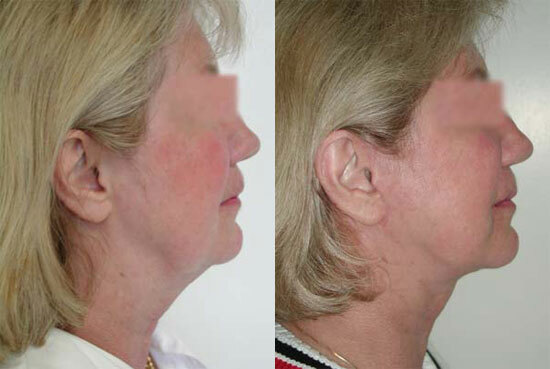 The following is a presentation to explain the face lift procedure, which describes how you can best prepare for your procedure, how it may be performed, and your recovery process along with before and after photos of some of our patients. An interesting question and answer section can also be viewed. This presentation is not intended to take the place of a physician’s consultation. As people age the effects of gravity, exposure to the sun, and stresses of daily life can be seen on their faces. The face lift procedure, also known as rhytidectomy, does not stop this process, but it can return youthfulness to your face. A face lift will tighten facial skin, remove excess fat deposits and reinforce underlying muscle tissue, giving you a more rested, youthful look. 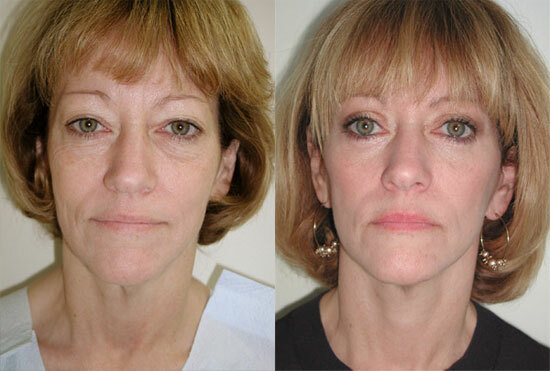 It is often performed in conjunction with eyelid surgery and/or brow lifts. 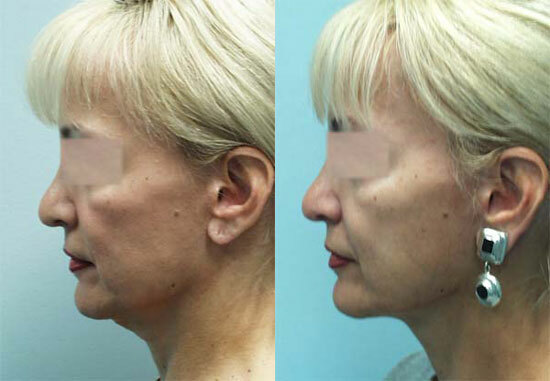 The ideal face lift candidate ranges in age between 40 and 60 years of age, although some of the most successful outcomes may fall below or above that age range. The face lift procedure may take up to four hours or longer depending on if you are having more than one procedure done. Incisions will be made on each side of your face beginning within the hairline above the temple area and will follow the natural line in front of the ear. It then curves behind the earlobe before ending in the creases behind the ear. Facial and neck tissue, as well as muscle, may be separated from the skin. Fat may be trimmed or suctioned after the skin has been pulled up and back. 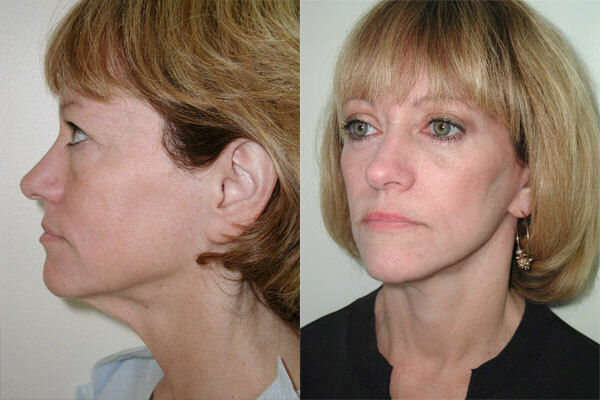 Sometimes the deeper tissues may also need to be repositioned in order to restore a more youthful contour to the face. 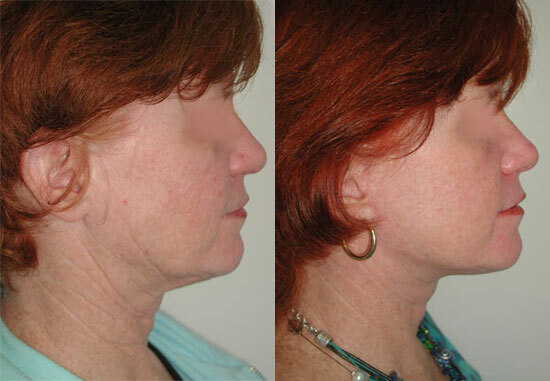 If you decide to have a neck lift as well, a small incision will be made under your chin. Stitches will be applied to secure and enclose the incisions. Small tubes may be placed under your skin behind the ear to drain any blood that may have been collected during the surgery. Your head will be bandaged to minimize bruising and swelling. After surgery, you will be taken to the recovery room until you wake and are able to go home, which generally takes several hours. Your surgeon may recommend an overnight stay. Your initial consultation is extremely important. The surgeon will evaluate your skin elasticity, muscle tone, and underlying bones to verify if you are a good candidate for a face lift. You should be able to speak freely with your surgeon about your goals and desired outcome. Be prepared to provide your medical history and inform your surgeon of any vitamins and medications (including over-the-counter) that you are taking. Make sure to tell your surgeon if you smoke, have uncontrolled high blood pressure, allergies, blood clotting problems, or the tendency to form excessive scars because these problems can effect the outcome of your surgery. Discontinue Smoking for two weeks before and after surgery. Smoking constricts small blood vessels and inhibits the healing process. Arrange For Someone To Take You Home and to assist you for 24 hours after surgery. One Week Before Surgery Stop sun bathing (including tanning booths), facials, steaming masks, and other skin irritants. Hide Scars by allowing your hair to grow out before surgery. What to expect post surgery. Work: Most patients are back to work between ten days to two weeks. Swelling And Bruising: Expect temporary swelling for the next several weeks, however it may last longer. If you feel severe, persistent pain or have sudden swelling, report it to your surgeon immediately. Keep your head elevated for two or three days following surgery while applying cold compresses or small ice packs to help reduce swelling and discomfort. Make sure there is a small amount of water in the ice bags at all times. If you have had a drain tube inserted, it may be removed a few days after surgery. Stitches may be removed within several weeks after surgery unless given stitches that are absorbed or can be washed out. Showering: You may shower following surgery as long as you keep your dressings dry. Make-up: You can wear make-up after a week or two. However, try not to massage the skin too much when removing make-up. Discomfort: During the first week after surgery you may experience tightness but little pain or discomfort. Numbness is normal and can last for weeks or months. Try to follow a careful plan and avoid strenuous activities. This can help avoid tension to your wounds. Recovery: Recovery should be thought of in terms of time necessary for the body to heal and time before one can return to full activities. It usually takes two weeks for the body to heal from face lift surgery. Although you should be up and about after the procedure, plan on resting for at least the first week. Be extremely gentle to your skin for it will be tender and numb. Most visible signs of surgery should fade completely within a few weeks. Avoid activities that will raise blood pressure such as lifting, sports, or bending, for about three weeks. As a result of any surgery, there will be scars. Every effort will be made to hide or make them as concealed as possible. Final appearances of face lift scars are usually excellent. Results: Final results should be seen after several months following most face lifts. For most patients, results last for many years.